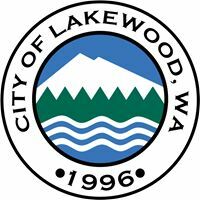 What is being proposed for Lakewood’s Land Use & Development Code? Why is the Title 18A update being proposed? This website will be kept up to date regarding the 18A update process and public meetings. However, should you have a questions that the website can’t answer, please feel free to contact Tiffany Speir, Special Projects Planning Manager, at tspeir@cityoflakewood.us. •Come into conformance with new court decisions•Reference Code Regulations with RCWs and WACs•Incorporate room for new ideas and land use types not currently in use.